That's right! 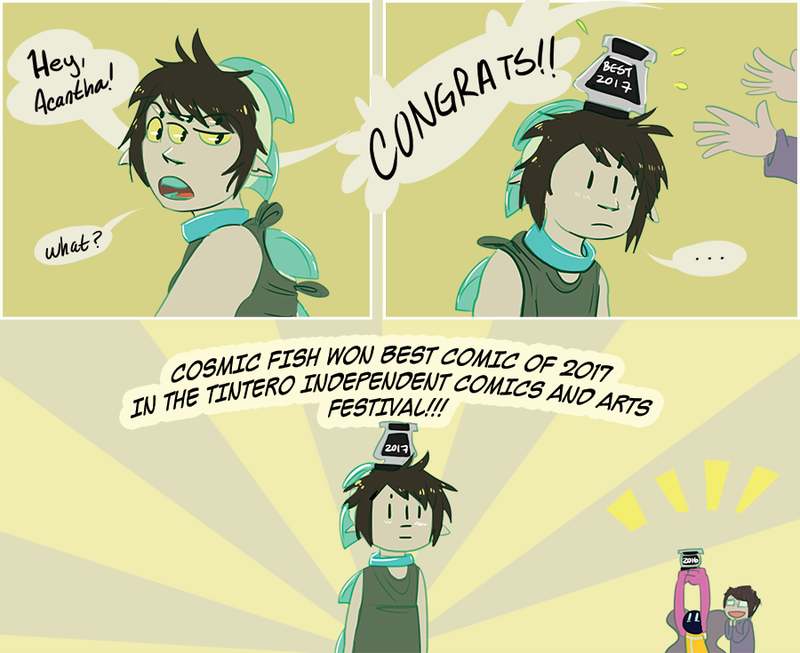 Cosmic Fish won the Best Comic of 2017 for chapter 4! This is a huge honor, especially considering that last year, the Toy short story won the best Mini Comic of 2016! This comic is on a roll and I'm so thankful for all the love and support that keeps me going. Thank you everyone, and expect an update by Wednesday!